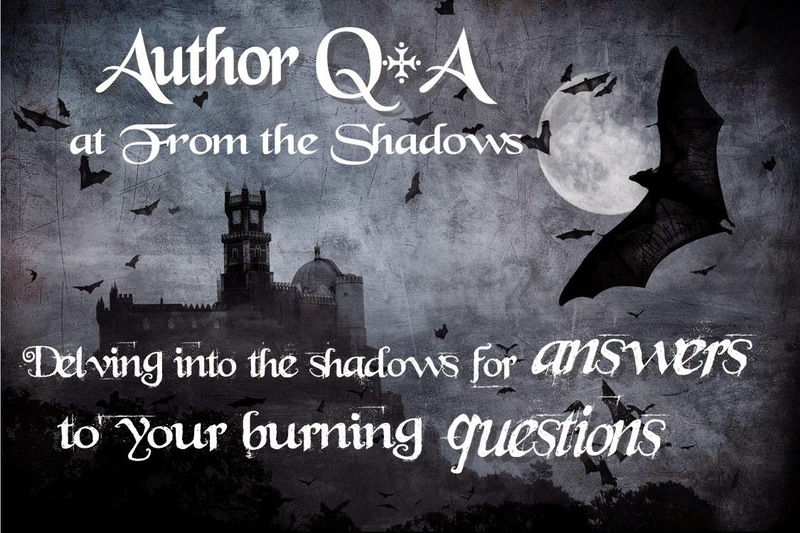 Please welcome today's guest author Vanessa Barneveld! Vanessa is the author of This Is Your Afterlife, a young adult paranormal romance about a girl who can see ghosts...including the ghost of the guy she's been crushing on. Vanessa: I first started writing short stories in my early teens. I had a healthy addiction to series fiction, and when I ran out of books to read, I’d try to write my own. Writing is incredibly hard work, but also incredibly fun. What could be better than making up stories for a living? Vanessa: When I wasn’t reading all kinds of fiction as a teenager, I was virtually gobbling up a collection of magazines called The Unexplained. They were chock-full of eyewitness accounts to nightmarish stuff like spontaneous human combustion, UFO abductions and, my favorite, hauntings. These apparently true stories not only prevented me from having a good night’s sleep, they gave me a story idea or two. Vanessa: This Is Your Afterlife is a fun, quick read that brings new meaning to “teen spirit.” Sixteen-year-old Keira has finally got what she’s always wanted – the popular, hunky captain of the football team in her bedroom. Problem is he’s not in the flesh. He’s a ghost. Being a practical sort of girl, Keira takes on the job of finding out who killed Jimmy so he can move on to the next world. Readers tell me they love the book’s blend of humor, mystery and romance. Kate Mulvany as Keira. She’s an award-winning actor friend of mine here in Australia who is the same height as Keira. I’m sure Kate wouldn’t mind dyeing her golden hair black for the part. Kate was in the recent film adaptation of The Great Gatsby. Brenton Thwaites from The Giver would play the ghost, Jimmy. Brenton’s also Australian and has a lovely blend of athleticism and sweetness. This Is Your Afterlife by Vanessa Barneveld. To learn more about Vanessa Barneveld and her books, please visit her website. Have a question for Vanessa? Ask away in the comments below! As a hopeful fairy godmother, I think you should make all your readers happy and do that! Hi, Kim! Biased or not, I'm so glad you love the book! I do have a sequel planned. Let's hope *my* fairy godmother makes it happen! HOW FUN! I would love to be a fairy godmother too. Your book premise is darling (on my Kindle as well) and I can see why readers would vote it into the finals. Good luck, Vanessa! Sarah, being a fairy godmother would be endless fun! I love seeing people's wishes come true. Thanks for stopping by and saying such lovely things. 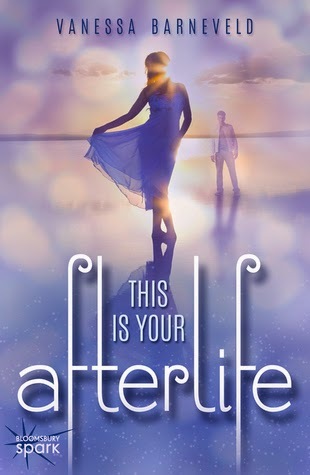 I ADORED your This Is Your Afterlife - and, like Kim - would love a sequel. As for super-powers...remember Bewitched? I'd like to be able to twitch my nose and have a clean house, washed and ironed clothes, a gourmet dinner and manicured lawn. Julie, I so appreciate you reading Afterlife! I'm thrilled to hear you want to see more. I'd just love to have Samantha Stevens wriggle her nose here and tidy up for me too. I'd get so much more writing done! This book is fantastic! I am with Kimberly - will there be a sequel? Being a fairy godmother would be awesome. Congratulations on being nominated for The Australian Romance Readers Awards! Well deserved! Thanks so much for your kind words, Nan! I'm currently reading and loving your debut, Southern Comforts, right now. So delicious in so many ways. And then I'll get to work on my Afterlife sequel! I too loved This Is Your Afterlife! And, like Julie, being able to twitch your nose and have a clean house sounds awesome right now. I think my house is haunted by rabid dust bunnies. Picturing you reading that magazine cracked me up. Do they still distribute that, I wonder? Good luck in the Australian Readers contest!! Wow, Laura, thank you! So glad you loved Afterlife. Oh, I'm still haunted by the magazine's images of charred dismembered limbs (post-spontaneous combustion)! I don't think the series is published anymore, but I'm always on the lookout for old copies! Yes, yes, sequel, please!!!!! I adore these characters. I adore Vanessa's writing. When you put then together, magic happens...of the paranormal kind. Congratulations on being a Godmother, Vanessa! You will be fantastic at the job. Oh, Pintip! What an amazing compliment! I'm overwhelmed — thank you! Can't wait to be a godmum, and I REALLY can't wait for your big debut this year!!! EJ, it was so kind of you to interview me. Thanks very much! I love your trailer, Vanessa. Your heroine is gorgeous! Congratulations on your ARRA nomination--so happy for you! Hi, Suzanne! Thanks for stopping by and also for checking out the trailer. I had a lot of fun putting it together. My congrats to you on your debut this week! So excited for you! Hi Vanessa! Great interview! Firstly, let me say how much I loved THIS IS YOUR AFTERLIFE. I've got a post going up on a blog on Saturday about my fave books for the year and yanno, it just might be mentioned! I'll let you know it's up. Secondly, laughed at you as a fairy godmother. What a morass of moral dilemmas I never thought about. I'm with you - let's go flying instead! Afterlife is one of your favourite books of the year, Anna?! A thousand thank-yous! You've just made me a very happy gal. I'd fly anywhere with you now. How about Tahiti? Sounds good - especially as it's going to be stinking hot here in South East Queensland today. Anna, it's heating up here in Sydney too. Let's go join our cooler North American friends instead! Lovely to see you here, Amy! Thanks for the good wishes. :) I must admit I haven't seen the Christopher Atkins or Brenton Thwaites versions of the Blue Lagoon yet. I'll have to watch and compare! Hi Vanessa--what a good interview!I I loved THIS IS YOUR AFTERLIFE and think I'll have to look at it again with your casting in mind. Brenton Thwaites is new to me, but he is gorgeous. And Tom Welling. Hours of watching Smallville just to watch Tom Welling qualifies me to agree that he is perfect hero material! I'm glad to see you're working on a sequel. Thank you, Kandy! I loved EJ's questions. Now, I'm sure you'll see more of young Brenton. He's an up-and-comer. Tom Welling does set a lot of hearts racing. Adored him in Smallville. Thanks so much for loving my book and for visiting me today! 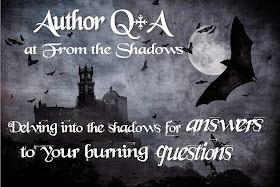 HI Vanessa and From-The-Shadows Team! Great interview! Vanessa, your book is such a gorgeous read! I loved it!! And I see it's got a well-deserved nomination for an Australian Romance Readers Award so huge congratulations! I'll keep my fingers crossed for you. I'll be looking for your next book! Fabulous to 'see' you, Sharon! It makes me so happy to know you loved Afterlife! Thanks for the good wishes on the ARRA nomination. I'm still floating on air! Vanessa, I'm so pleased to hear you're working on a sequel. I adored Afterlife! Seriously great debut - good on you! I'm wondering if you have a series mind or whether it's too early to say. I struggle with books that feature a ghost love interest because those rarely end well, but I'm open to being proven wrong. Great Q&A ladies, happy Friday! Hi, Carmel. Thanks for stopping by! Totally understand what you mean about romance between ghosts and the living -- seems impractical, right? It'd be a real drag to share your life with a boyfriend no one else can see, someone you can't touch.